Theresa's Sound World is powerful way of manipulating audio in the browser in a quick and friendly manner. Built on top of the Web Audio API, it uses a modular routing system allowing you to make sophisticated audio applications and instruments. Uncompressed with comments. Like Barry White. Minified, tiny and fast. Like Prince. Alternatively, if you are a Bower user, just type bower install tsw at the command line. To get started, download and include tsw.js in your HTML. From this point on all you need to do is use the variable "tsw" to make audio magic. If you see "0.1.5" in your browser's JS console, then super. You're using the latest version and are ready to go. Let's create a triangle wave oscillating at 300Hz. volume = tsw.gain(0.5); // Half volume. Lovely. What if we want to control the pitch of the oscillator? Let's add a slider. Theresa's Sound World doesn't need jQuery to work, but let's use it here to make things nicer. Press the play button above again, and use this slider to change the pitch. Your very own html <theremin> element! Hi. 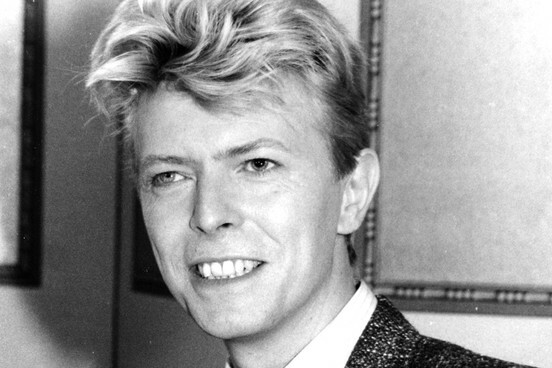 David here. When I first started using the Web Audio API, it was essential for me to understand the concept of connecting nodes together to process audio. process audio. I like to think that connecting nodes is very similar to how my friend Adrian connects guitar effects pedals. He takes a lead from his guitar add connects it to a distortion pedal. He then takes another lead and connects it from his distortion pedal to his phaser pedal. He then takes yet another lead and connects it to his amplifier. Each pedal or node changes the sound and passes it on to the next pedal/node. // Connect the oscillator to a gain node, then connect the gain node to the speakers. Ok, here's the definitive list of things you can do with Theresa's Sound World and how to do them. Creates an audio buffer. If you want to play a sound from a file you have to load it into memory first. An audio buffer is how you store audio in memory. Create a buffer and assign your audio data to it. // see tsw.load() for how to load files.singing. Creates a Buffer Box. A Buffer Box is a a little box that holds audio buffers in order to control them like like a little buffer record player. // start the buffer in the Buffer Box playing immediately. Creates a compressor node. Takes an object with the following parameters. threshold, knee, ratio, attack, release. Connects two or more audio nodes together. Numerous nodes can connect to and from other nodes by using an array. // Connect 3 nodes to the speakers. // Connect oscillator to 3 nodes, then connect 3 nodes to speakers. If you no longer need a connection, it's best to free up memory by using the disconnect method. An AudioContext is essentially your canvas for audio. All nodes you create exist within this context. Theresa's Sound World creates this automatically for you. You can access the context directly if you want to use native Web Audio API functions, or you can even replace the default context with your own for easy intergration to an existing project. console.log(tsw.context()); // Outputs current AudioContext. var my_context = new AudioContext(); // Create new AudioContext. tsw.context(my_context); // Assign context to tsw. tsw.context().createGain(); // Use native Web Audio API function. 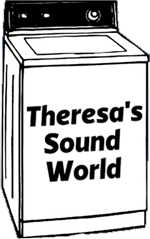 After assigning your own context, Theresa's Sound World will perform all of its operations using said context. Disconnects any number of nodes from all nodes attached to it. tsw.connect(osc, gainNode, tsw.speakers); // Connect nodes. // osc is no longer connected to speakers. Creates an envelope which can control any audio node parameter. Creates a filter node, which removes certain frequencies from any audio passed through it. Possible filter types: lowpass, highpass, bandpass, lowshelf, highshelf, peaking, notch, allpass. Individual parameters can also be changed individually and at a scheduled time. // Change the filter to a highpass filter immediately. // Change the filter frequency to 500Hz, 4 seconds from now. Creates an gain node. The value passed in multiplies the volume of the passed input signal. Defaults to 1, which doesn't affect the signal. gain_node.gain(0.5); // Changes gain to 0.5. You can also specify when the level of gain will change. gain_node.gain(0.2, tsw.now() + 5); // Change gain to 0.2, 5 seconds from now. gain_node.gain(0.8, tsw.now() + 7); // Change gain to 0.8, 2 seconds after that. Gets and audio stream from the user's microphone or line-in. Connect it like you would any other node. Property to determine whether the Web Audio API is available. Creates an LFO node to modulate an audio parameter of another node. lfo.modulate(vol.params.gain); // modulate the gain parameter of the vol node. Loads one or more audio files into memory and executes a callback function once complete. Creates a source node of white noise. // Outputs colour of noise. Only white supported at the moment. Returns the time in seconds since the audio context was activated. Creates an oscillator. Takes one of four values (sine, square, triangle, sawtooth). var osc1 = tsw.oscillator(), // Creates a 440Hz sine wave. osc2 = tsw.oscillator(600, 'sawtooth'); // Creates a 600Hz sawtooth wave. tsw.connect([osc1, osc2], tsw.speakers); // Connect oscillators to speakers. osc1.start(); // Start sine wave. osc2.start(); // Start sawtooth wave. osc2.type('triangle'); // Oscillator now produces a triangle wave. The frequency of the oscillator in Hertz. osc.frequency(300); // Set the frequency to 300Hz. console.log(osc.frequency()); // Logs "300" out to the console. When to start the oscillator. When to stop the oscillator. Spreads an incoming audio signal over the left and right channels depending on the value specified. panner = tsw.panner(-1); // Pan completely to the left. panner = tsw.panner(1); // Pan completely to the right. panner = tsw.panner(0.2); // Pan slightly to the right. panner = tsw.panner(0); // Pan to the center. Plays an audio buffer after a specified number of seconds. If nothing is passed, audio will play immediately. tsw.play(files.talking, tsw.now() + 5); // Start playing after 5 seconds. tsw.play(files, tsw.now()); Play all files at the same time. Reverses an audio buffer in order for it to be played backwards. The final output node. You'll need to connect to this to hear something. Stops an audio buffer or oscillator from playing after a specified number of seconds. If nothing is passed, audio will stop immediately. sine.stop(); // Stop oscillator immediately. saw.stop(tsw.now() + 5); // Stop oscillator after 5 seconds. Creates a node that will delay the incoming signal. // Start oscillator immediately, but won't be heard for 5 seconds. Volume of signal fed back into delay node. // Create delay effect node. The speed at which the filter changes. The depth of the filter change. Strength of the filter effect. Returns an array of notes in any given chord. Returns the note a semitone below that of the one passed. Returns the frequency in Hz of a musical note passed by name. Returns individual note from frequency. Gets the musical scale of given note. Returns an array of notes as strings. Returns the note a semitone above that of the one passed. Requests access from user to handle MIDI input/output. Takes a success and a failure callback. Returns a boolean dependant on whether the current browser supports the Web MIDI API. Returns the note name or number from a either a MIDI message note number or note name string. Here are a selection of things that have been made using Theresa's Sound World. A sample-free drum machine in the browser. A recreation of the famous THX sound.